A major gift from one of the world’s foremost industrial groups will support fundamental and far-reaching research into one of the modern world’s most sustainable and indispensable materials. Tata Steel has announced the donation to endow a Professorship of Metallurgy at the University of Cambridge. Based in the Department of Materials Science & Metallurgy, the first Tata Steel Professor of Metallurgy, inaugurated today, will be Professor Harry Bhadeshia, a world renowned expert on the physical metallurgy of steels. The endowment recognises the commitment of the Tata Steel Group and the University to world-leading research in the field, particularly in steels, as well as Professor Bhadeshia’s distinguished work in the subject. Professor Harry Bhadeshia is one of the world’s leading experts on physical metallurgy in general, and on the manipulation of steels in particular. His specific expertise is on how processing steel influences microstructure. Based on deep understanding using experimental observations, he and his group have developed computer programmes for predicting microstructure. His breakthroughs are in the control and design of steel microstructures. Some of the microstructures are so different from the conventional that what results could be regarded as a new material. A key point is that having predictive power from the computer greatly cuts down on the cost of trial-and-error experiment. Harry talks of steels ‘designed using theory alone’. Needed: Indian Institutes of the Humanities! Two generations of Indian students have been lost to the study of classical Indian languages and literatures, in part due to powerful economic forces no doubt, but in part due to sheer neglect. The situation is dire. Let me offer a few anecdotes. A great university in the United States with a long commitment to classical Indian studies sought for years to hire a professor of Telugu literature. Not one scholar could be found who commanded the tradition from Nannaya to the present; the one professor of Telugu literature in the U.S. who does have these skills will soon retire, and when he does, classical Telugu studies will retire with him. The same can be said of many other languages, such as Bangla, where the number of scholars who can actually read not just Tagore, but Vaishnav pads or the great seventeenth century biography of Caitanya, the Caitanyacaritamrta, are few and far between. For several years I studied classical Kannada with T.V. Venkatachala Sastry of Mysore, a splendid representative of the kind of historically deep learning I have mentioned. During all my time in Karnataka I did not encounter a single young scholar who had command over the great texts of classical Kannada — Pampa, Ranna, Ponna — to say nothing of reading knowledgeably in the extraordinary inscriptional treasure house that is Karnataka. Today, in neither of the two great universities in the capital city of India, is anyone conducting research on classical Hindi literature, the great works of Keshavdas and his successors. Imagine — and this is an exact parallel — if there were no one in Paris in 2008 producing scholarship on the works of Corneille, Racine, and Molière. Not coincidentally, a vast number of Brajbhasha texts lie mouldering in archives, unedited to this day. The great edifice of Indian literary scholarship has nearly been torn down. Is it possible, at this late hour, to build it up again? India has shown itself capable of achieving pre-eminence in anything it sets its mind to. Consider the Indian Institutes of Management, of Science, and of Technology. Universities and companies and organisations around the world compete for the graduates of the IIMs, IISs, IITs. Why should India not commit itself to build the same kind of institute to serve the needs of its culture — not just dance and art and music, but its literary culture? Why should it not build an Indian Institute of the Humanities devoted not just to revivifying the study of the classical languages, but to producing world-class scholarship, as a demonstration of what is possible, a model for universities to follow, and a source of new scholars to staff those universities? It is not too late. The reward of success would be incalculable; the cost of failure would be catastrophic. PS: Hat tip to Abi, but for whose sharing the link to the piece in his Google Reader, I would have missed the piece! An interesting and informative piece; take a look! Patterns of deliberate human activity and behavior are of utmost importance in areas as diverse as disease spread, resource allocation, and emergency response. Because of its widespread availability and use, e-mail correspondence provides an attractive proxy for studying human activity. Recently, it was reported that the probability density for the inter-event time τ between consecutively sent e-mails decays asymptotically as with . The slower-than-exponential decay of the inter-event time distribution suggests that deliberate human activity is inherently non-Poissonian. Here, we demonstrate that the approximate power-law scaling of the inter-event time distribution is a consequence of circadian and weekly cycles of human activity. We propose a cascading nonhomogeneous Poisson process that explicitly integrates these periodic patterns in activity with an individual’s tendency to continue participating in an activity. Using standard statistical techniques, we show that our model is consistent with the empirical data. Our findings may also provide insight into the origins of heavy-tailed distributions in other complex systems. Control of the fundamental absorption edge of a quantum dot with an applied electric field has been limited by the breakdown fields of the solid-state material surrounding the dot. However, much larger fields can be applied at the interface of two immiscible electrolytic solutions (ITIES) in an electrochemical cell. These electric fields also localize the quantum dots at the ITIES. Our analysis shows that semiconductor nanocrystals localized at the ITIES should have electric-field-tunable optical properties across much of the visible spectrum. The transparency of the liquids in such cells indicates that this configuration would be well suited for electrically tunable optical filters with wide-angle acceptance. Superhydrophobic surfaces display water contact angles greater than 150° in conjunction with low contact angle hysteresis. Microscopic pockets of air trapped beneath the water droplets placed on these surfaces lead to a composite solid-liquid-air interface in thermodynamic equilibrium. Previous experimental and theoretical studies suggest that it may not be possible to form similar fully-equilibrated, composite interfaces with drops of liquids, such as alkanes or alcohols, that possess significantly lower surface tension than water ( = 72.1 mN/m). In this work we develop surfaces possessing re-entrant texture that can support strongly metastable composite solid-liquid-air interfaces, even with very low surface tension liquids such as pentane ( = 15.7 mN/m). Furthermore, we propose four design parameters that predict the measured contact angles for a liquid droplet on a textured surface, as well as the robustness of the composite interface, based on the properties of the solid surface and the contacting liquid. These design parameters allow us to produce two different families of re-entrant surfaces— randomly-deposited electrospun fiber mats and precisely fabricated microhoodoo surfaces—that can each support a robust composite interface with essentially any liquid. These omniphobic surfaces display contact angles greater than 150° and low contact angle hysteresis with both polar and nonpolar liquids possessing a wide range of surface tensions. “This” in the first sentence of the quote above refers to mass spectrometric studies on characterization of petroleum, details of transition from condensed phase to gas phase, gaseous ion reactions, imaging bio-medically important molecules on tissue samples, and protein characterization, among other things. In a crystal, by definition, there is a regular arrangement of atoms; however, this regular arrangement is disrupted by defects of various kinds; point defects, more specifically, vacancies, are one of them; see this wiki page in crystallographic defects for some schematics. Vacancies are equilibrium defects; by that what we mean is that the thermodynamic equilibrium demands the existence of these defects (at any temperature above absolute zero) in crystals. Simmons and Balluffi, in a series of papers published in Physical Review between 1960 and 1963, measured and reported the equilibrium concentration of vacancies in aluminium, silver, gold and copper [2-5]. In this post, I would like to talk about these papers — more specifically, about the first one, in which the equilibrium concentration of vacancies in aluminium was reported. As Cahn notes in his wonderful (and must-read for every materials scientist) The coming of materials science, (a) even in 1920s it was known that vacancies are equilibrium defects and that they should exist in every crystal at any temperature above absolute zero, and, (b) the experimental approach of Simmons and Balluffi (that came nearly four decades afterwards) to measuring these quantities for metals at various temperatures by comparing dilatometric measurements with precision measurements of lattice parameter is one of the very fruitful ones . ... the gradual clarification of the nature of point defects in crystals (...) came entirely from the concentrated study of ionic crystals, and the study of polymeric materials after the Second World War began to broaden from being an exclusively chemical pursuit becoming one of the most fascinating topics of physics research. In any case, the relevant sections of Cahn's book (3.2.3.1 on point defects. 4.2.2 on diffusion and 5.1.3 on radiation damage) are very informative, readable, enjoyable and are a must-read; they also serve as nice historical introduction to the development of the theoretical concepts and experimental methodologies. The experimental determination of the predominant atomic defects present in thermal equilibrium in metals has proven to be a difficult problem. Even though the general thermodynamic theory of point defects is well developed, experiment has not yet established the nature and concentrations of the defects in a completely satisfactory way. ... it is concluded that they are predominantly lattice vacancies. In fact the number that Simmons and Balluffi quote for the number of vacancies at melting point is of the same order (but greater by a factor of 3) to that quoted by Feder and Nowick. [In the experiments of Feder and Nowick] ... aluminium gave a rather questionable indication that vacancies are the predominant defect at elevated temperatures. It appears that the method may be sufficiently precise to serve as a tool for investigating point defects in many substances. However, this is a question on which I would love to hear from an historian of science. There is one type of experiment, however, that appears to be capable of giving direct information about the nature of predominant defects. … consists of measuring the differences between the fractional lattice parameter change, , as measured by x-ray diffraction, and the linear dilatation of the specimen, , as defects are generated in a crystal containing constant number of atoms. Or, in other words, when a material is heated its dimensions change which is directly related to the change in the lattice parameter of the material. In addition, if there are more vacancies (or, lattice points) that are created, there will be a discrepancy between the two (since the dilatation will also measure the change in length due to the creation of these extra lattice points) and this difference can then be used to calculate the vacancy concentration. The idea is as simple as that! Eshelby has shown that a uniform random distribution of cubically symmetric point centers of dilatation (point defects) in an elastic material with cubic elastic constants will produce a uniform elastic strain of the crystal without change of shape. When uniform straining without change of shape occurs, the reciprocal lattice undergoes a uniform strain equal and opposite to the uniform strain of the crystal lattice; and the fractional change of lattice constant is equal to the fractional change in linear dimensions of the crystal. From Simmons and Balluffi’s paper, I see that Eshelby’s theorem was also tested experimentally; those are probably some of the papers along with that of Eshelby which deserve a post of their own, and I might do that some time! [b] that the measurements were highly accurate — to within 1 in 100,000 for both the quantities. … both and could be measured simultaneously on the same specimen and where all temperatures were measured with the same thermocouple. … Recrystallisation and grain growth occurred, and a final bamboo-type grain structure was produced where single large grains, several cm in size, occupied the full width of the bar. … The paramount considerations in the desing of the present measurements of the change in length were that (1) the speciment be quite free of external constraint during expansion and contraction, (2) the influence of creep at the highest temperatures be minimized, and (3) the necessary sensitivity be obtained with very direct means, avoiding any apparatus which would be in a temperature gradient and therefore subject to possible unknown error. … Characteristics required of the x-ray lattice expansion measurement included (1) high accuracy, (2) short measurement time, (3) a specimen having properties identical to those of the length change measurement speciment, and (4) careful desing so that the temperature distribution would be negligibly perturbed by the necessary access port for the x-rays. is the first direct measurement of formation entropy; the value is near that expected from theoretical considerations. This success lead to their during similar experiments on copper, silver and gold, and as the review by Kraftmakher  point out, of the many important papers on point defects in metals, those of Simmons and Balluffi continue to be of relevance nearly four-and-a-half decades after their publication. Simmons and Balluffi’s paper is a classic that shows how far you can go with careful experimentation (which are themselves based on strong theoretical foundations); the values reported by them were regarded the most reliable for nearly three decades after they published their paper ; even now, though there are some discrepancies between the more modern results and those reported by Simmons and Balluffi, the issue is far from settled (against Simmons and Balluffi, that is). Further, as Kraftmakher notes in his review , some of the original ideas and suggestions in Simmons and Balluffi (like the ones about quenched in vacancies and the lattice anharmonicity contributions at high temperatures) remain very much relevant and continue to be active areas of study. Solidity is an imperfect state. And, Simmons and Balluffi’s series of papers are nearly perfect on the imperfectness of the solid state of metals (noble and otherwise) and are worth reading and pondering on — Have fun! D A Porter and K E Easterling, Phase transformations in metals and alloys, Chapman & Hall, Second Edition, pp. 43-44, 1992. R O Simmons and R W Balluffi, Measurements of equilibrium vacancy concentrations in aluminium, Physical Review, 117, 52-61, 1960. R O Simmons and R W Balluffi, Measurement of the equilibrium concentration of lattice vacancies in silver near the melting point, Physical Review, 119, 600-605, 1960. R O Simmons and R W Balluffi, Measurement of the equilibrium concentrations of lattice vacancies in gold, Physical Review, 125, 862-872, 1962. R O Simmons and R W Balluffi, Measurement of the equilibrium concentrations of vacancies in copper, Physical Review, 129, 1533-1544, 1963. R W Cahn, The coming of materials science, Pergamon Materials Series, Pergamon, First Edition, pp. 105-109, 2001. R Feder and A S Nowick, Use of thermal expansion measurements to detect lattice vacancies near the melting point of pure lead and aluminium, Physical Review, 109, 1959-1963, 1958. Y Kraftmakher, Equilibrium vacancies and thermophysical properties of metals, Physics Reports, 299, pp. 79-188, 1998. Direct measurement of mechanical torque due to spins of electrons! Many particles possess an internal degree of freedom called “spin” that is an intrinsic amount of angular momentum associated with that particle. The name is meant to evoke a spinning top, which has some rotational angular momentum about its axis when, well, spinning. Electrons have “spin 1/2”, meaning that if you pick a convenient axis of reference (“quantization axis”) that we’ll call z, the z-component of the electron’s spin angular momentum is either +1/2 hbar or -1/2 hbar. All too often we treat spin in a rather cavalier way. When people talk about “spintronics”, they are interested in using the spin degree of freedom of electrons to store and move information, rather than using the charge as in conventional electronics. One complication is that while charge is strictly conserved, spin is not. If you start off with a population of spin-aligned electrons and inject them into a typical solid, over time the spin orientation of those electrons will become randomized. 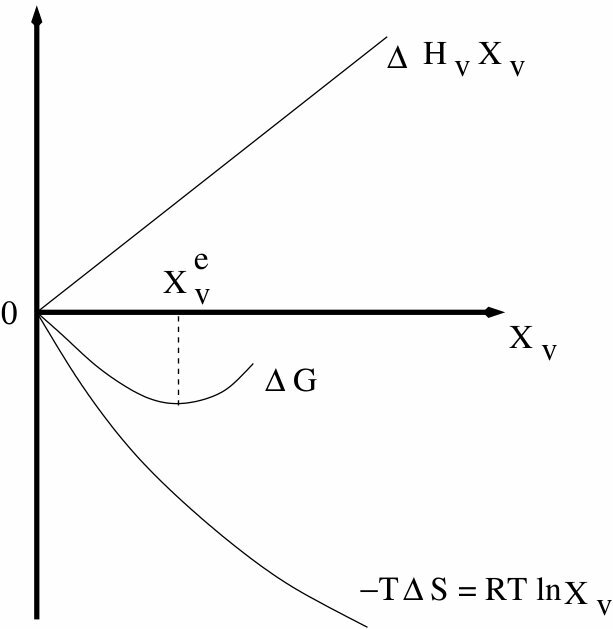 Now, angular momentum is strictly conserved, so this relaxation of the electron spins must coincide with a transfer of angular momentum to the rest of the solid. Feynman pointed this out (somewhere in vol. III of his lectures on physics) – if you fire a stream of spin-polarized electrons into a brick hanging on the end of a thread, you are really applying a torque to the brick since you are supplying a flow of angular momentum into it, and the thread will twist to apply a balancing torque. Well, Zolfagharkhani et al. have actually gone and done this experiment. They use a ferromagnetic wire to supply a polarized spin current and an extremely sensitive nanomechanical torsional oscillator to measure the resulting torque. Very nice stuff. The Indian Obamas and Nehru’s debt to Tagore! What does the victory of Barack Obama mean for the present and future of Indian democracy? What lessons can Indians draw from his campaign for inclusiveness? Are there, can there be, Obama-like figures in Indian politics? Journalists must necessarily focus on the present and future, but as a historian, I am allowed to look at the past. The phenomenon of Barack Obama was, to some degree, anticipated in the similar rise from disadvantage and obscurity of B.R. Ambedkar. Guha goes on to write about Nehru and Nitish Kumar. Take a look! While we are on the topic of Nehru, what Nehru owed to Tagore is Guha’s theme for his latest column in the Hindu, which is a good read and the photo that accompanies the piece is very nice too. Have fun! I finished reading Peter Atkins’ Four laws; I enjoyed it a lot, and I have no hesitations in recommending it. I hope OUP publishes a low priced, paperback edition so that many more students will have access to this wonderful book. which reminded me of some good openings of certain mystery novels, or the interesting pieces of information (as, for example, that in the original Celsius scale, water froze at 100 and bolied at 0 degrees Celcius), or the deep concepts explained in a rather lucid fashion (like the section on Fluctuation-Dissipation theorem on page. 42), or the new aspects of looking at thermodynamics that the book introduces (for example, as to why Boltzmann constant is not to be considered a fundamental constant but a conversion factor), I never found the book dull (though, at times, I did find it to be very engrossing and a bit time-consuming to go through the arguments). is very natural and effective; concepts like energy, entropy, temperature, enthalpy, and Helmholtz and Gibbs free energies are explained by Atkins using this approach; and, by far, these are some of the best explanations that I have seen. Arkins is a master expositor, who combines penetrating insight with simplicity of style and a gentle elegance. Hunt for the book in your library; or, better still, buy yourself a copy and have fun! PS: By the way, here is an YouTube video wherein Atkins introduces the book. Note to self: At least a couple of books from Atkins’ Further Reading list sound interesting: G N Lewis and M Randall, Thermodynamics and B Widom, Statistical Mechanics: a concise introduction for chemists. PS 2: Thanks to my colleague Rajesh for introducing the book to me, and agreeing to part it for the last one month. I hope to get a personal copy for myself soon. Moon videos at Arunn’s Unruled Notebook! Have fun!